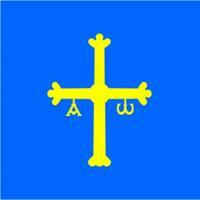 Provincia de Asturias (province). It has a population about 1,081,487 inhabitants, the area is about 10,604.00 km², its density is 102.35, its unemployment rate is 22.25, its coastline length is 401 , its number of municipalities is 78 , its average altitude is 627 , its autonomous community is Principado de Asturias, its number of unemployed is 84,114 , the average house price is 1,306.40. There is information in Classora Knowledge Base about 10 rankings, reports and surveys.